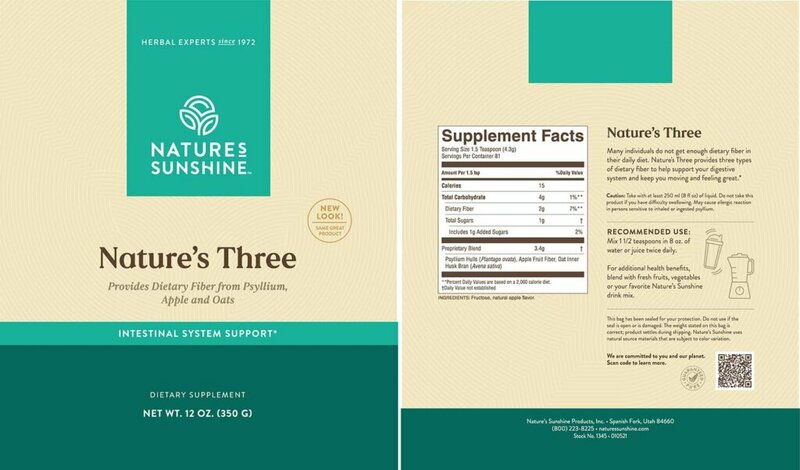 Nature’s Sunshine Nature’s Three contains three important fibers to maintain normal bowel function: psyllium, oat fiber, and apple fiber. 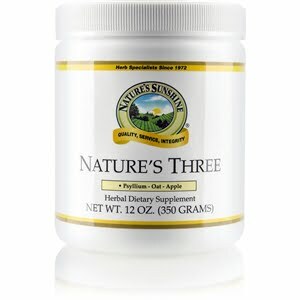 One serving contains 10 calories and 2 grams of total dietary fiber which consists of 1 gram of soluble and 1 gram of insoluble fiber. Though these fibers naturally occur in many foods, modern diets often do not include enough of them. 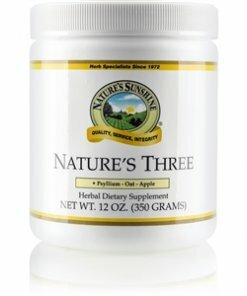 Persons sensitive to psyllium may experience an allergic reaction. Instructions: Mix 1 1/2 teaspoons in 8 oz of water or juice.